Autumn in Wisconsin is full of excitement, festivals, and of course color. Vibrant shades of yellow, orange, and red can be viewed all throughout WI in September and October. Whether you enjoy fall from a bike trail, on a porch overlooking one of WI lakes or rivers, from the window, or on a hike – the colors of the season are sure to impress. 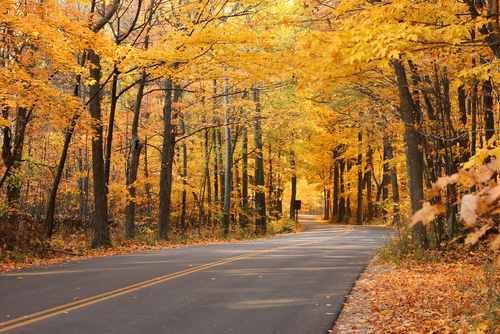 One of our favorite tools for the fall is the Fall Color Report by Travel Wisconsin. The color on each county correlates to the color of the trees. Stop trying to predict when your favorite location will reach its peak coloring, use the tool. Plan your fall getaway around the colors of Wisconsin. Use our simple MAP search which allows you to view properties by location. From here you can view photo galleries, descriptions, a map, amenities, and if the property is own water, there is a lake/river map available. – We help by making wonderful vacation properties easy to find. -Book directly with property owners/mangers and SAVE. This entry was posted in What to do in Wisconsin and tagged fall, travel, vacation experience, WI travel, wisconsin. Bookmark the permalink.